JENNINGS, La. 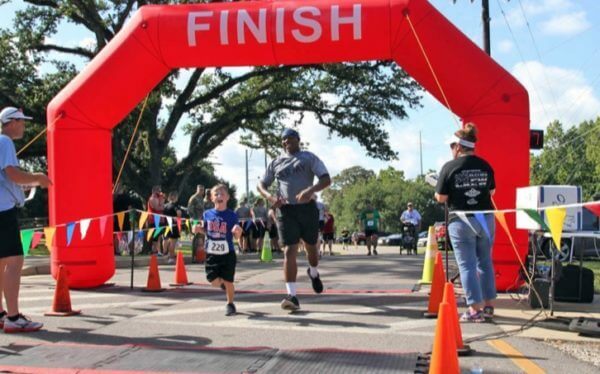 – The Louisiana Department of Veterans Affairs (LDVA) has over 900 employees with a myriad of backgrounds and talents. 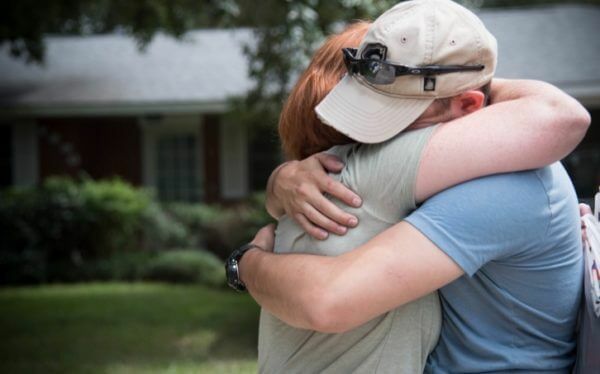 The nurses at our Veterans homes are the heart of the healthcare provided year-round to eligible Veterans, their spouses, and Gold Star parents at its five homes located across the state. 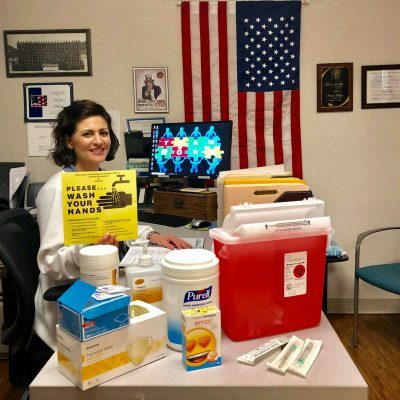 Registered nurse Shellie Talbot is one of the many healthcare providers that the LDVA has on its team, and is a true asset to the Southwest Louisiana Veterans Home (SWLVH) where she has worked for over 13 years. “I did not always know I wanted to be a nurse,” says Talbot. “I just knew I had to do something that involved helping others.” That is exactly what she has done in both her personal and professional lives. “There are many career choices that entail helping others,” she says after considering being a teacher, a waitress, a beautician, and several others. She sought counsel from a few nuns, and decided that was not the path for her. But, she did come to the realization that she wanted to go to nursing school. Registered nurses can perform physical exams and health histories, provide health promotion guidance, administer medications, help with wound care, and numerous other personalized interventions, interpret patient information and make critical decisions about needed actions, coordinate care in collaboration with a wide array of healthcare professionals, and much, much more. Talbot knew that was her calling and graduated as a registered nurse from McNeese State University, located in Lake Charles, La., in 2001. For the next three years, she worked at a local hospital, two different rehabilitation facilities, and then in the home healthcare field. In early 2004, she heard that the LDVA’s SWLVH was being built in Jennings, La., and immediately decided that she would apply for a nursing position there when it opened. For Talbot, caring for the men and women who served our country would be the next best thing to serving herself. “I could be part of a TEAM that cares for America’s heroes,” she says while recalling many of her family members who served in the military. Nurse Talbot accepted and began her journey on the SWLVH team as their Registered Nurse Supervisor on November 15, 2004. She worked her way up and was named Assistant Director of Nursing, and then Director of Nursing in 2012. In 2016, after much thought and consideration, she decided that she needed to change things up a little. While she wanted to remain a part of the SWLVH team, she wanted to expand her professional duties and responsibilities. Shortly afterwards, the SWLVH Director of Nursing gave Talbot the opportunity to become trained as a CPR Instructor and help launch their new Nursing Assistant Course. LDVA’s CNA program entails 80 rigorous hours of classroom instruction and 40 hours of hands on clinical instruction. The average cost for this course at a private college or training institution is approximately $2,000.00. Selected applicants are trained to assist in all activities of daily living, but they can only perform direct patient care with another certified nursing employee mentor. To date, the graduation success rate of SWLVH students in the CNA program is an impressive 92%. Instructors, like Talbot, play an integral role is ensuring that these students find their passions and succeed in becoming certified. “I am so grateful and honored to be able to come to work every day and be surrounded by the amazing Veterans and residents that live here and have lived here,” says Talbot. She enjoys being able to hear first-hand stories from the men and women who served on the frontlines. “We laugh and have times when we cry,” she says of the times when here patients are able to open up to her about the things they experienced during the war. For Talbot, SWLVH is her home away from home. She’s held on to the good advice she received at the beginning of her nursing career, “Be the kind of nurse you would want taking care of you if you were the patient.” And that is something she continues to do today.